Celebrate Easter with this color by numbers worksheet. 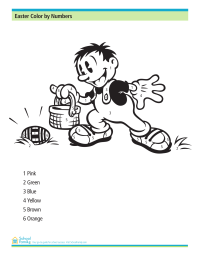 Picture on this coloring activity shows a boy on an Easter egg hunt. 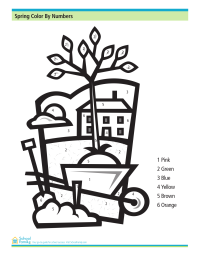 Celebrate the coming of Spring with this color by numbers worksheet. 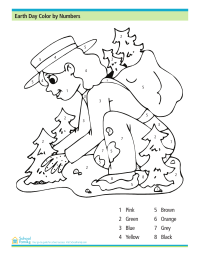 Celebrate St. Patrick's Day with this color by numbers worksheet. 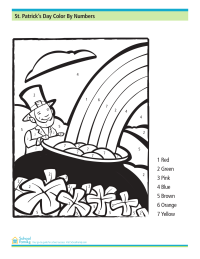 Picture on this coloring activity shows a leprechaun finding a pot of gold under a rainbow.